If you're traveling to the Balkans in the summer, apart from visiting Serbia, you should think about Croatia, especially if you love sailing and similar activities. Just a few hundred kilometers from the northern Serbian border lies over a thousand Croatian islands. The northern Mediterranean and especially the Adriatic Sea are famous for their islands. Starting with the western Greece coastline, this part of Europe has an incredible shoreline. Croatia is placed right in the center of this amazing marine geography. This small country offers incredible possibilities for anyone looking for a fun and exciting time traveling through its maze of islands. Croatia, a country of only 4, 2 million citizens, has over one twelve hundred islands and islets in its territory. These bring the combined length of its coastline to more than 4,000 kilometers. That is why it’s no wonder that for more than a century Croatia is a Mecca for all those interested in summer tourism. One of the biggest islands in Croatia is Hvar, connected to the mainland by a very tall bridge. The bright is in fact so tall that it suspends traffic during heavy winds because of the danger of collisions. Traveling across it is an adventure in itself. The coastline of Hvar includes many secluded and only slightly developed beaches, so it’s an ideal place for all those interested in hiking or bicycle exploration. Its biggest city Hvar is the best place for finding accommodation, and using it as a main base of the rest of the holiday. 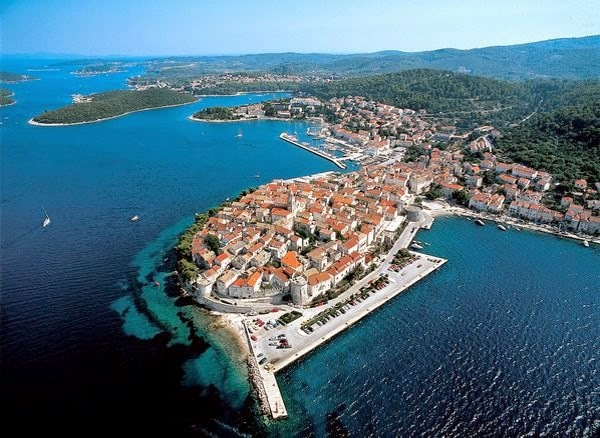 From the city of Hvar there is a ferry service that you can use to travel to the island of Cres. Here, you will encounter a much harsher Mediterranean geography, and a land covered in stones and red clay. Cres is much further from the mainland, so the sea and the winds saturate the ground with salt. In these conditions, a completely different set of plant cultures thrives, so you will find many olive groves, some ancient and other brand new. The beaches of Cres, especially those on its western side that look upon the open sea, are cold but ideal for scuba diving. Here, there are no big industrial ports or harbors, so the marine life is abundant. Later, use the opportunity to travel to Valun, a small town next to a fishing village. Here you choose and try some of the local fish in a cuisine that is simple, but incredibly tasty. In Cres you will have no problem finding and renting a yacht with a licensed captain. With it, you can sail towards the south. Then you can choose between partying and relaxing. If you’re interested in the nightlife, the place to be is the island Pag. 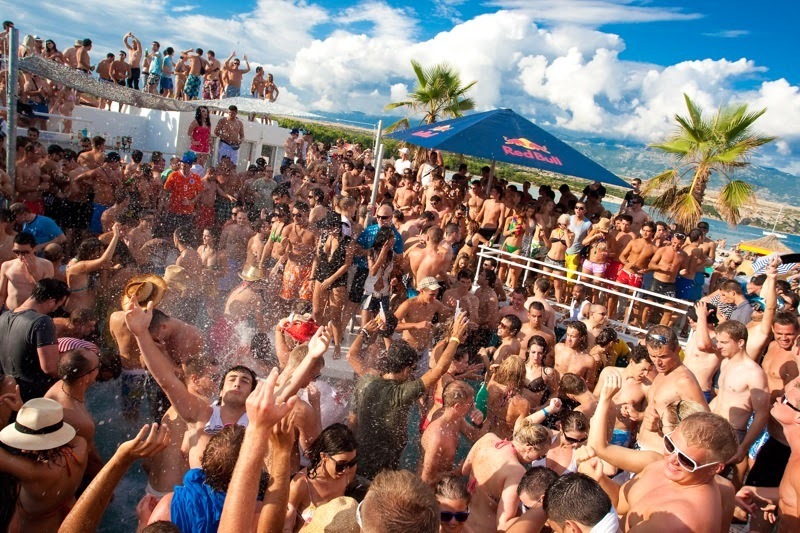 On it you will find Zrce beach, one of the most famous beaches in Croatia, dedicated to non-stop parties. Zrce is covered by beachside bars and clubs which don’t have any closing hours and where the fun really lasts from one morning to the next. The majority of the clubs is oriented towards electronic music like house, so expect to find many famous DJ from Europe and the world holding guest mixes in Zrce. Pag is also the number one local destination for younger Croats, so this is an ideal place to meet new people. If you’re more interested in a relaxing holiday, travel even more towards the south and to the island of Korcula. This island is known for its traditional stone houses and villas, and is ideal for a peaceful stay. Here, you can end your yachting trip and instead rent a small boat and use it to travel short distances to covert beaches that aren’t accessible by land. After a restful day of sun and sea, check out the day's catch on the local fish markets. Afterwards in the evening you can make your own fresh seafood and enjoy it beneath a night sky full of stars, clear and in full glory thanks to the sparse light pollution. These islands are just a few ideas for your holiday in Croatia. If you decide to travel to this astounding country you will certainly find many more islands that will capture your imagination and grant you fantastic experiences and memories. Greece is practically next door to Serbia. 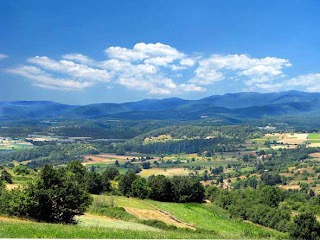 If you’re traveling to visit Serbia and play to stay longer, think about visiting Greece, especially the Khalkidhiki region which is around 200 miles from the southern Serbian border. When we think of this Mediterranean country, we tend to imagine ruins from the classical era of Greece, made in the times of the great city states like Athens and Sparta. Apart from that, we may picture a cozy fishing village full of bright white houses on a small island. But, there is much more to modern Greece or Hellenic Republic as it is officially called. Just one of its regions called Khalkidhiki can offer a complete vacation spot on its own. In the north of the county, on the border with the Republic of Macedonia, shrubs and vineyards cover the hilly terrain. But only a 40 short miles from the border towards the sea is Thessaloniki, the regional capital and a bustling transport hub with two airports and a big commercial harbor. Several universities in the metropolitan area also make it a learning center with a growing young population. All notions of a small Mediterranean nation end in this city of over a million inhabitants. In Thessaloniki you can experience the modern, urban Greece and shop continuously in many city malls, boutiques and stores. After that, you can relax near the sea and visit the White Tower of Thessaloniki, its famous landmark, or continue to stroll around and get to know the local park that often include ruins from the ancient period. You will need more than one afternoon to really soak in everything it has to offer. The rest of Khalkidhiki spreads towards the southeast of the city. If you follow the main highway you will encounter towns like Nea Kalikratika and Nea Plagia, little settlements that in the recent years became tourist favorites because of their access to beautiful and clear seas. These are a perfect destination for families with children because of the wide beaches that are crowd-free and calm and steady currents without big waves. An added bonus for the little ones in your family is Waterland, the biggest aqua park in Greece located on the southern outskirts of Thessaloniki. If you venture inland you can find a lot of ancient sites, but the thing you shouldn’t miss is the Petralona cave. On this site the oldest hominid remains in Europe were found half a century ago. The cool air of the cave and its incredible underground sights will make this short visit unforgettable. At the most southern tips of Khalkidhiki is the peninsula that resembles three fingers called Kassandra, Sithonia and Athos, or Agion Oros. The first two are full of fantastic beaches, ranging from small coves to long stretches of sandy terrain. Here, you can have fun next to the sea by day, and then by night travel around and find the best beachside restaurants, clubs and bars. The last finger is famous for its spiritual history and is the home of Mount Athos and other religious sites. Greece really has a lot to offer, and this can be clear when you travel to just one of her regions. Visit Khalkidhiki and let yourself be immersed in a land that came into existence more than three thousand years ago and still continues to grow. Hotel Rtanj on Kopaonik Montain is back in business! Several months after a fire nearly destroyed it, one of the best known hotels on Kopaonik is back in business. Rtanj is located right on the ski slope called Mali Karaman (this slope is serviced by a four-person double chair ski lift) and it sits on 1.786 meter about the sea level. Built in 1962 this mountain retreat first became known as the home of the GSS (Serbian mountain rescue service). 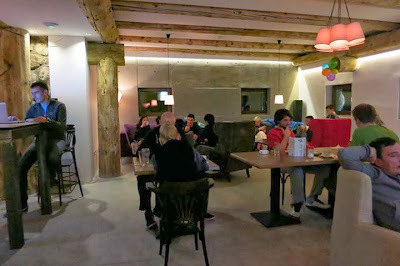 For several decades, it was a place where students and other younger people used to stay during the ski season, mainly because of Rtanj affordable prices. Of course, with those came also a relatively low level of comfort and an aging interior that somehow managed to keep a lot of charm in spite of crackling wooden furniture and crooked main staircase. Then the fire came and nearly put an end to Rtanj’s long history. The blaze that broke out in May 2013 took over the upper floor and luckily didn’t leave any casualties. But, in the wake of this unfortunate event came the possibility for a long aviated upgrade. Now, Rtanj looks more like a high end ski resort than a crumbling mountain hotel. Apart from the interior, the building itself was enlarged and now has another floor. Now, you can stay in Rtanj and still get that phenomenal location for skiing, and also get a great place to stay and relax during your holiday. 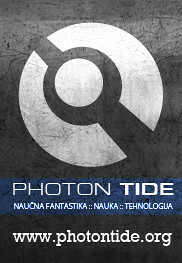 If this sounds good to you, check out Rtanj official Facebook fan page for more details. An interesting new promotional video, shot for the National Tourism Organisation of Serbia. It's main theme - the rich and very diverse culinary traditions in the country. It has generated a lot of buzz domestically, but most of it come from the portrayal of different regions, a peoples oppinions about what was overexposed, and what didn't get enough attention. Personally, I think it a step in the right direction, expecially after seeing our previous horendes attmpts at making something even resembeling a cool tourist promo. Is it mind-blowing? No, my main complaint is that the visual style is trying to compensate a relativly unoriginal idea. But, on the other hand, the video was shot so it looks really smooth and easy. Few days ago, thanks to the people on Serbia's Ambassador To The World, I found two brand new online promotional videos aimed at promoting investment opportunities in Vojvodina. The creator is an awkward named Vojvodina Investment Promotion, or VIP. As you may know, Serbia in general didn’t have a stellar experience with TV promotional campaigns. The last big video, or to be precise, TV commercial that aired on CNN was, in my opinion, a failure. It looked like it was made by a bored film student stuck in a editing room with a lot of generic, bland shots of nature scenes, unrecognizable buildings and too many churches that are important, but didn’t catch the eye of an international viewer (if I’m not mistaken, one of them isn’t even on Serbian soil, it’s actually located across the Danube border in Romania). Although it wasn’t a tacky attack on the scenes, this kind of flat promotion isn’t going to do anything, especially having in mind that every other country in the region created a targeted campaign. Croatia, for example, has the fantastic tag-line: Mediterranean as it one was, and the whole campaign revolves around it, cleverly distancing that country from other, similar offers like Greece, meanwhile painting those locations as too commercialized. Overall, I think they are pretty solid. Again, they are focusing on a traditional vision, and the look of the videos needs more color correction, so that those green and golden fields stand out, instead of being gray. Good thing is the listing of facts and advantages of investing in Vojvodina. Even better are the commentaries in the second video, where business leaders from abroad talk about their experiences working here. But, the thing I like the best about it – the slogan. Come and grow. It’s simply fantastic. All in all, I see these videos as a step in the right direction. Do you like hiking in the mountains? Well, if you do, you will probably like orienteering. The term represents a sort of sport – in it, the participants use their navigational skills, assisted by a map and compass to navigate in an unknown terrain. The goal for competitors is to move from one predefine points to the other, and the first team or individual to reach the last one wins. Balkan Championship in orienteering is an annual event that brings top team from the region, and this year, it will be held in Serbia, Jastrebac mountain to be precise. Jastrebac is located in central Serbia, near the cities of Nis and Prokuplje. Its well-forested hills and surrounding valleys are well known to aficionados of both hiking and mountaineering. The opening day of the Championship is the 23 of October 2010, and it will last for two days. If you choose to visit Jastrebac in that period, you will have a chance to learn a lot about orienteering from the right people, and I bet there will be a lot of additional activities for non-competitors. Find out more about the event by calling Serbian Mountaineering society on +381 11/2642 065.